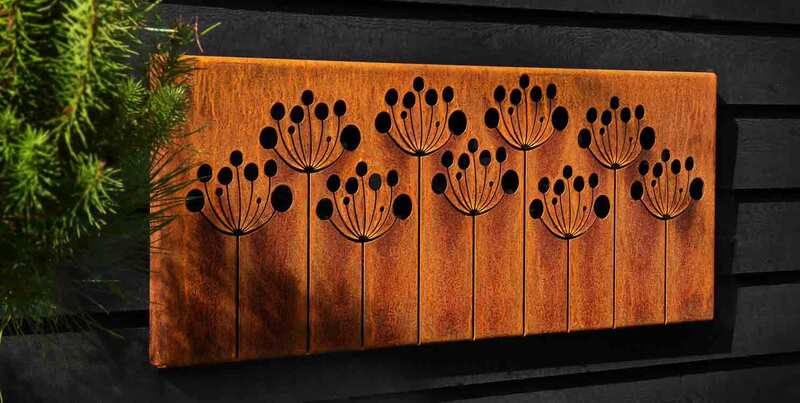 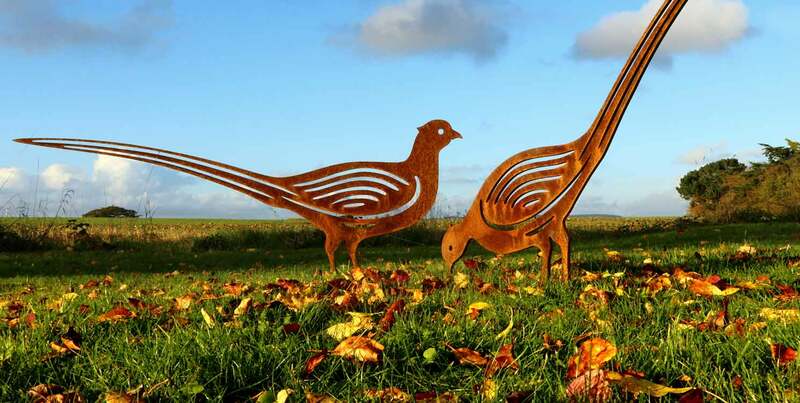 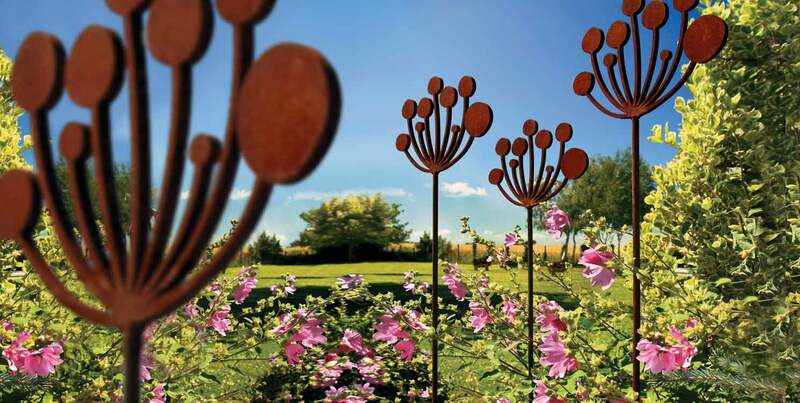 Contemporary garden sculptures and garden art are our passion. 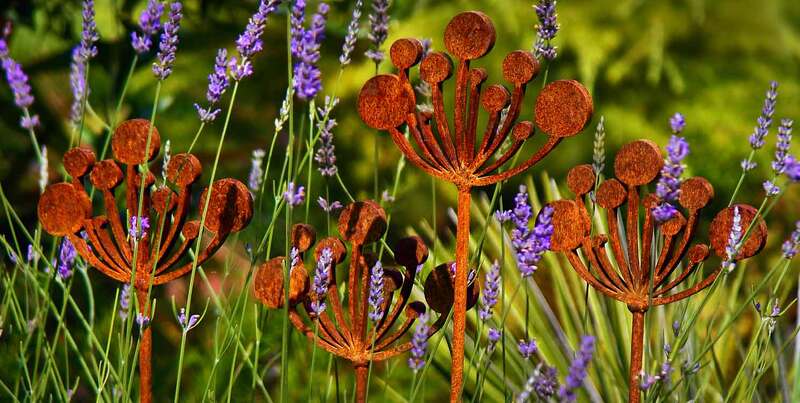 Our metal garden sculptures are hand crafted, adding year round interest in the garden and oxidise naturally forming a richly coloured rust patina with it’s warm hues glowing in the evening sun. 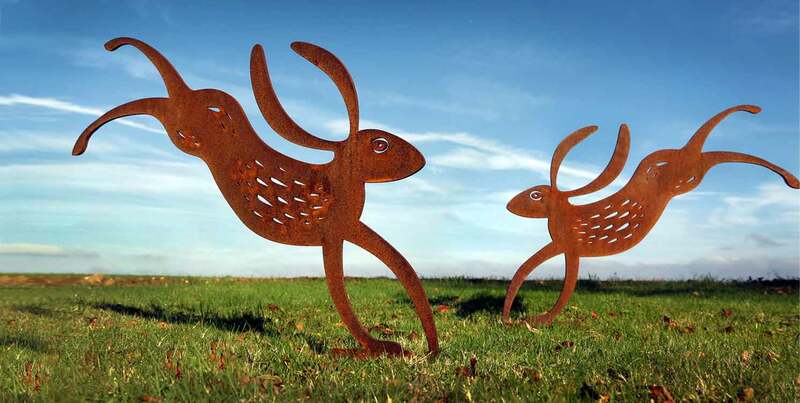 Inspired by the natural world our curvaceous Deer Sculptures are charmingly simple, almost two dimensional, whilst our larger than life Cow Parsley sculptures sway ever so gently in the wind. 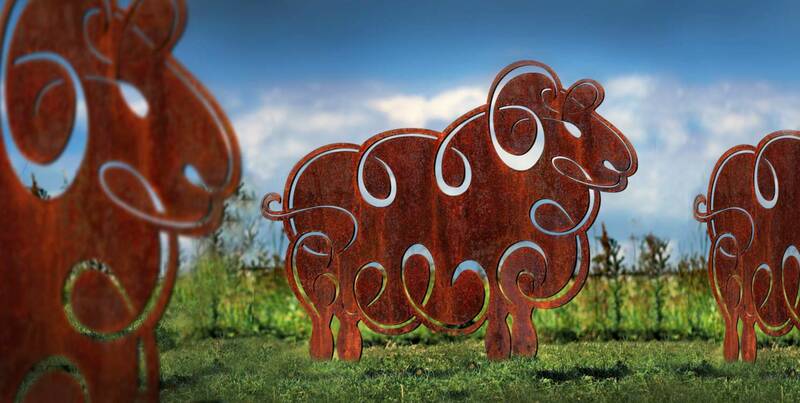 With its swirls and curves our Sheep Sculpture is a piece with real character, whilst our sleek, curvaceous Bird Sculptures make a stunning garden feature. 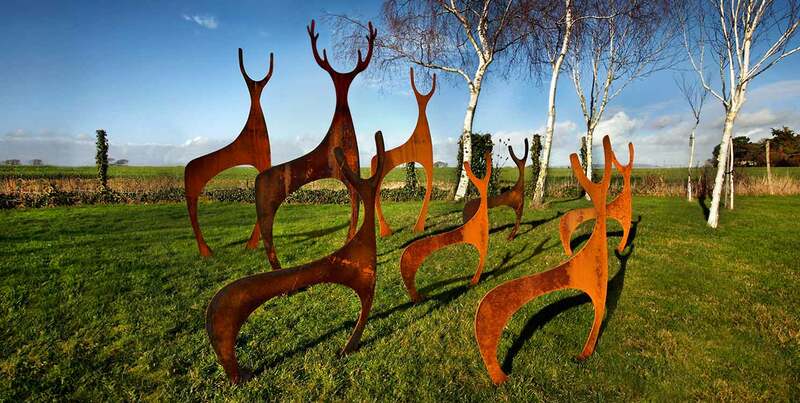 We are always working on ideas for creating new garden sculpture and garden art and exhibit in some fabulous places during the year. 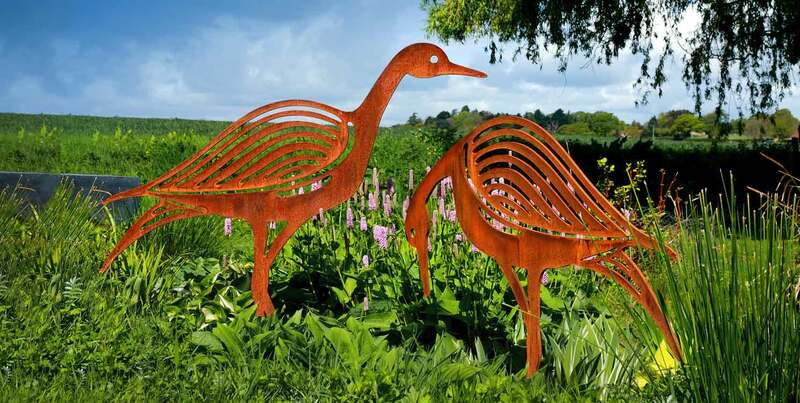 Take a look through our website to see our latest work, or if you have your own ideas for a garden sculpture please do get in touch.